New training video and slideshow available for "Google Apps for Education Overview". 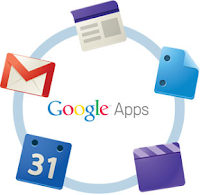 Google Apps for Education is a powerful suite of web-based programs and services provided by Google for free to schools. Learn all about the features of Google Apps, the benefits of using it, the challenges involved, and an overview of the main components of the suite, including Gmail, Google Calendar, Documents, Spreadsheets, Presentations, Forms, and Sites.